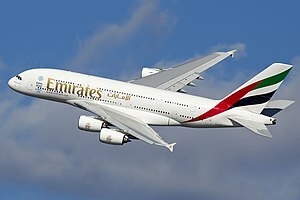 Airbus, who produces the superjumbo A380, said on Monday they may cease production if orders from their only major customer, Emirates, fail to materialize. The implication would be huge, as the supply chain employs thousands around the world. In 11 years of production, Airbus has delivered 218 planes. List price at $446 million each. Sales somewhere north of $97 billion to date with simple math (less any bulk order discounts etc). The news comes after Airbus sales chief John Leahy mentioned on January 15th, that the program risks shutdown if sales of a 36-38 plane order from Emirates Airlines (Dubai) doesn't materialize. He also stated that Emirates is the only airline with enough capacity to take on a order of this magnitude. Having a single large customer is a risky proposition. Not only from an OEM assembly standpoint, but also supply chain; as your production plant is always at risk of cutting capacity between 50-80%.